The graphical editor can be opened at the manager where as an alternative also a text based editor can be opened. 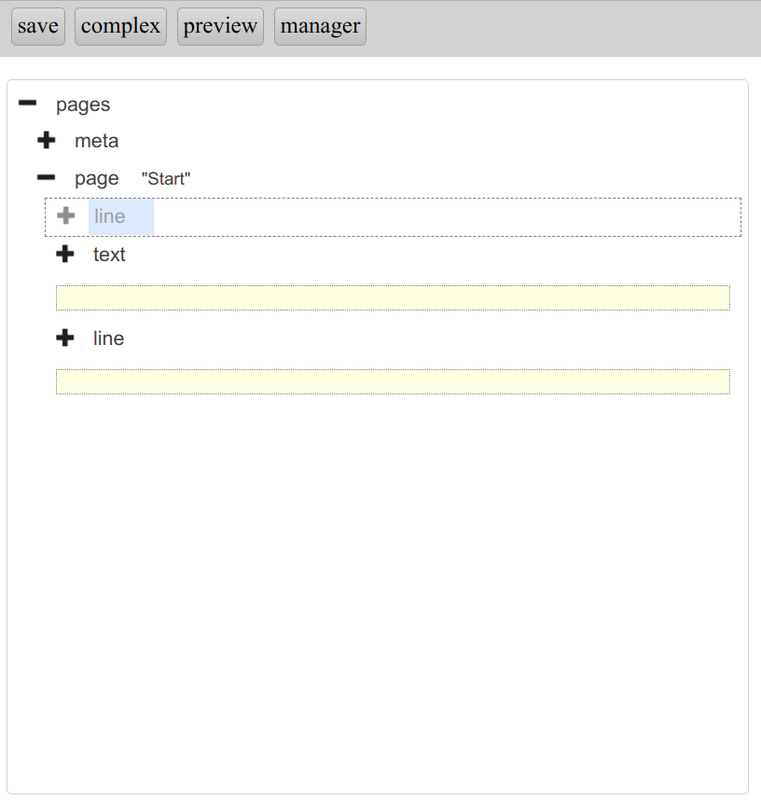 With the editor you can modify a configuration without knowing anything of the XML syntax. At the top is a menu bar, on the left the sctructure of the configuration and on the right attributes of the selected element. Store the current state of the configuration. 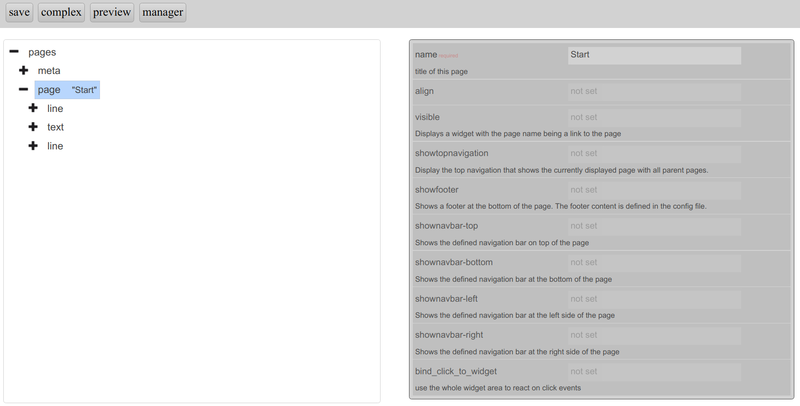 Toggle display of enhanced configuration options. Show a preview of the current state of the configuration without replacing the current version. When an element on the left is clicked it’s attribute table will be displayed on the right when it is available for this element type. To add additional elements the future parent element must be clicked with the right mouse button. Add a new child element. 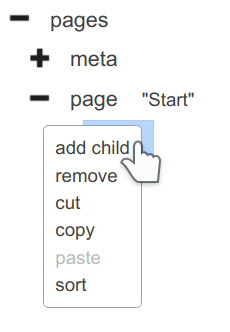 Paste the cut or copied element. Sort the elements (when possible here). To sort elements in the context menu “sort” must be selected. Then yellow boxes will appear as placeholders for possible future positions of the element. Once clicked on one of those the element will be moved to that position.